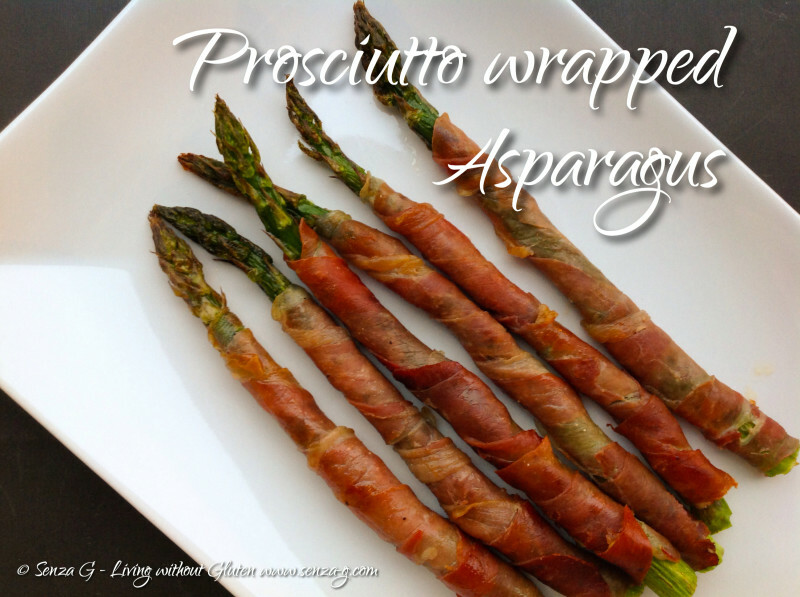 What a great combination, prosciutto and asparagus! Perfect as party finger food or even as a quick-to-prepare side dish! The quantity of the ingredients below depends on how many you want to prepare. Cut the prosciutto slices in half lengthwise. 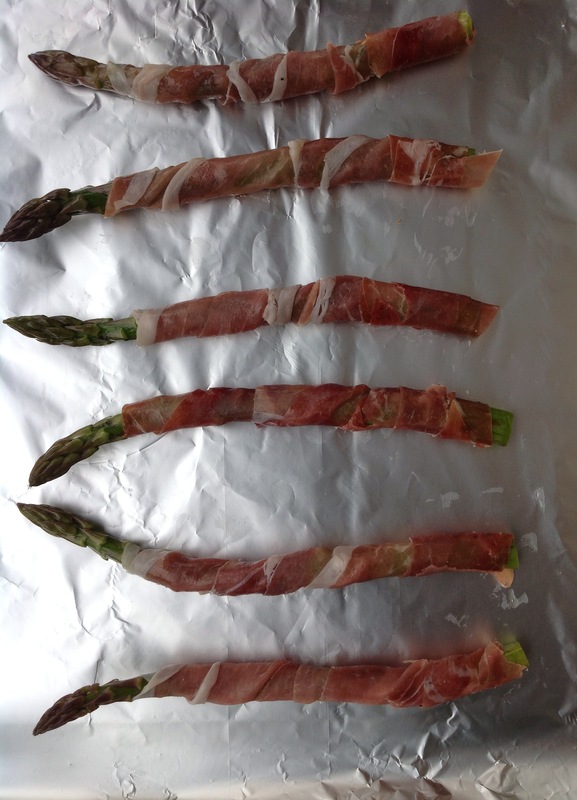 Calculate half a prosciutto slice for each asparagus spear. Make sure you trim the tough woody ends of the asparagus before rinsing. After trimming and rinsing the spears, boil in salted water for 3 to 5 minutes. Drain and leave to cool. When cool, put some olive oil in a freezer bag, place the asparagus spears in the bag and using your fingers, gently move around the asparagus so they will be coated with the oil. Do not add any more salt, but you can add pepper if you wish. Take a slice of prosciutto and starting from the top, wrap it around the spear, just below the head, on a diagonal, all around the stalk slightly overlapping, right to the bottom. Do the same with the rest of your spears. Place the asparagus spears on a lined baking sheet, not too close to each other and grill for about 3 to 4 minutes. Turn over so you will also grill the other side for another 3 to 4 minutes. Lovely served with a drizzle of olive oil and some Parmesan Shavings on top. ©Copyright © 2013-2014 Senza G. All Rights Reserved.